Recently Sike Design and Construction added 1,600 sqft. of hard wood flooring to a client’s home they were remodeling for resale. 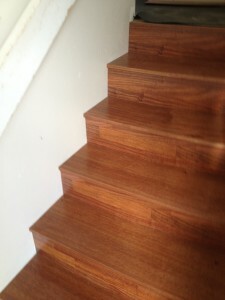 We used a great koa laminate product we purchased from wisteria lane, http://wisterialaneflooring.com/ that came out amazing! The house had a bad mix of old carpet, two different kids of tile running different directions that needed to be updated. We quickly removed the old flooring, and added the new engineered flooring to greatly improve the feel of look of the floors. The wood flooring came out excellent and gave the house such a nice finish. Hard wood flooring adds lasting value and is easy to maintain. If you’d like a bid for your home to redo your floors, give us a call at 808-230-0840 or send us an email through our contact us page. Aloha.